You may be considering orthodontic treatment to improve the alignment of your smile so you feel confident about your appearance. But have you ever considered how improving your smile may actually affect your health? Look over the following quiz to discover just how much you know about the benefits of orthodontics. True. When your teeth and jaws fail to line up appropriately, your top and bottom teeth may absorb too much pressure in certain areas. This can also result in jaw strain, which often leads to TMJ disorder (TMD). Align your teeth, so your jaws joints can rest comfortably. False. Problems like spacing and overlapping can make removing all debris from your smile difficult. You may have trouble effectively cleaning every surface of your teeth. 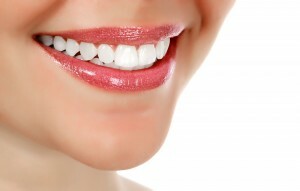 Align your teeth for easier daily hygiene. False. Spaces between teeth can make articulate speaking difficult. They can also trap debris, making it difficult to eat certain foods, and to thoroughly remove food and bacteria from your mouth during brushing and flossing. True. By guiding teeth into place quite early, you may be able to avoid serious problems down the road. This allows a child to develop appropriate speech patterns and chewing habits. True. When your teeth fit together poorly, they often come into contact more often than they should and with too much force. The result may include erosion, heightened sensitivity, fractures, and breakage.